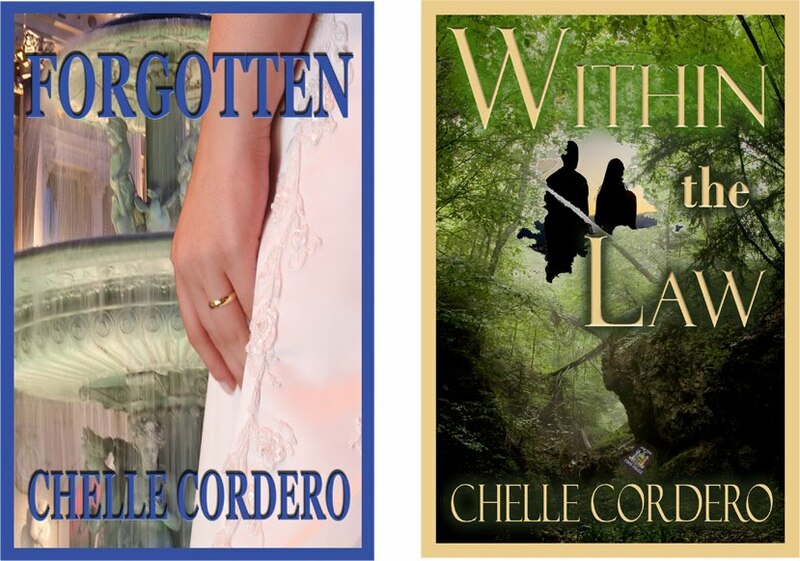 "Please join me in welcoming, multi-published author, Chelle Cordero. Thank you for joining me today, Chelle. Help yourself to a brownie, sit back and relax, and tell our visitors a little about yourself? Season's Greetings & Merry Christmas to all! The Christmas Eve service was traditionally a candle-lit service. Members of the choir and vestry carried candles and other religious adornments to the front of the church in a processional. As a very young child she remembered sitting on her mother's lap in the Episcopal Church her family went to and pointing to all the lit candles and holiday ornaments. She was spellbound by the candles' twinkling and once or twice even disrupted the good Reverend's sermon with her commentary to her mom. Davie had asked Adam, on the way into church, about his religious upbringing. It was something they had just never discussed before. He told her that he had been born Catholic but his first, and only, communion had been the last time he remembered being in church except for friends' weddings and funerals. His mother had made sure he attended religious classes until he was able to receive the holy sacraments. On the day of his communion, while all the other kids were having big family parties thrown in their honor, his mother took him out for an ice cream cone before depositing him back home and going off to her barmaid job. His father had gone on another drinking binge and had never even made the church service that day. Adam had never had occasion to go to any church services after that, his mother was always working or sleeping with a new beau and his father was always drunk. It was just a few years later when his mother left town with a new lover. When his father heard from strangers that his wife had left town, he came home and beat Adam accusing him of keeping secrets. Adam hadn't known anything about his mother's desertion, he just knew that he was the only one left to suffer from his father's wrath. All the good church people of his town turned their backs on him when he needed them. Going to church would have reminded him of his mother’s abandonment so he never bothered. Davie admitted ruefully that she didn't attend as often as her parents would have liked. Her family always included the church in every holiday. Davie could see that this was all new to Adam. She wondered how he was going to feel when she told him that not all her cousins had made it home yet and would be appearing tomorrow at her father's house. The holiday tables, definitely in the plural, would be stretched from room to room and would still be overcrowded. She chanced a look at Elizabeth sitting beside Albert and marveled about how easily she had assimilated into the Prescott community. Her father had been one of nine children and except for an older brother who hadn’t come back from Korea, they all lived in the area. Many of her cousins had also settled nearby to raise their own families. A few, like her, lived several hours away. On major holidays almost everyone who had claim to Prescott blood descended on Cape May County. Everybody who ever lived in their small town was either related to or a good friend with somebody in the Prescott family. Reverend Williams was ascending the pulpit to begin his sermon. The choir was singing from Handel's Messiah, she could hear her Aunt Rose's voice. She had always wondered why Aunt Rose with the beautiful voice hadn't become a professional singer. Davie noticed that Adam had been following along with all the prayers and hymns. She hoped that this Christmas was going to be memorable for both of them. "Don't be afraid! I am here with good news for you, which will bring great joy to all the people." The reverend spoke of the greatest gift, the love and the child; he said the story of Christmas was about the poor and the outcast. He warned the congregation not to hide behind "gruff exteriors or a mask of self-sufficiency" for that would only multiply feelings of loneliness and of being outcasts. Adam squeezed Davie's hand as the homily continued. "Christmas is a story about all of us receiving that which we most want and need: love; deep, strong, unconditional love." Reverend William wished everyone a wonderful Christmas filled with family, love and faith. After the service was over, Adam and Davie were separated in the throng of activity. She caught occasional glimpses of Adam as he was introduced to other members of her family by relatives that had just met him an hour earlier. Davie was captured in embrace after embrace of relatives who exclaimed how long she'd been gone even though she'd seen most of them at Thanksgiving. Her aunts and uncles pulled her to the side to ask questions about Adam. Her female cousins took turns swooning over his good looks. Davie heard her dad and Elizabeth asked if there was going to be a double wedding in February. They finally managed to reach each other and Davie grabbed Adam's hand so they wouldn't be separated again. "I am sorry about that." Davie apologized. "Don't worry, they are all kind of nice. It's hard to imagine what it must have been like to grow up with so much family around." He leaned close to her ear and whispered. "How many of these people are actually related to you?" Davie took her time looking around before she turned back to Adam with a grin. "The Reverend isn't." For a moment Adam didn't know whether she was mocking him or not. Then she laughed. "Alright, there are a lot of people here who are related to me." She shrugged. "It's a big family." "Well, now I know where you got your people skills." He put his arm around her shoulder and noticed that one older woman, maybe one of Davie's aunts, gave a look of approval. "Uh, do they wear name-tags tomorrow by any chance?" He had no idea how he was going to keep who-was-who straight. "The easiest way to sort it all out tomorrow is figure if they are in the house, they're family. The oldest folks are grandparents, doesn't matter who's, middle aged are aunts and uncles, you know my dad and Liz. The people our age and teens are cousins, except for Robbie and Allan of course. The little ones are children of the cousins." She laughed. "It's really very easy." “I didn’t visit the gym. I went to his office to meet him for lunch.” Julian frequented the gym on the ground floor of the office building. He always said it was expedient not to have to spend the time traveling. “But you didn’t have lunch with him that day.” They had obviously done their homework. “Someone tried to kill me the other night! It might be the same person. I don’t want my son to be an orphan... or worse, the next target.” She raised her voice in frustration and annoyance. The room was dim. There was only a little light filtering in through the blinds. It had been a while, but he recognized his surroundings. Ryan knew without question that he was in Connie’s bedroom. He realized he was in her bed. He also knew he felt like hell. Ryan was glad as hell to see Connie walking into her room fully clothed. “What am I doing here?” He started to sit up and realized he was naked under the sheets. She was unhappy. “Go ahead.” Connie leaned against the bed’s backboard and watched him. “Deanna... Deanna Blair.” He sounded impatient. He mentally counted to three before he barked an answer. “She works there. 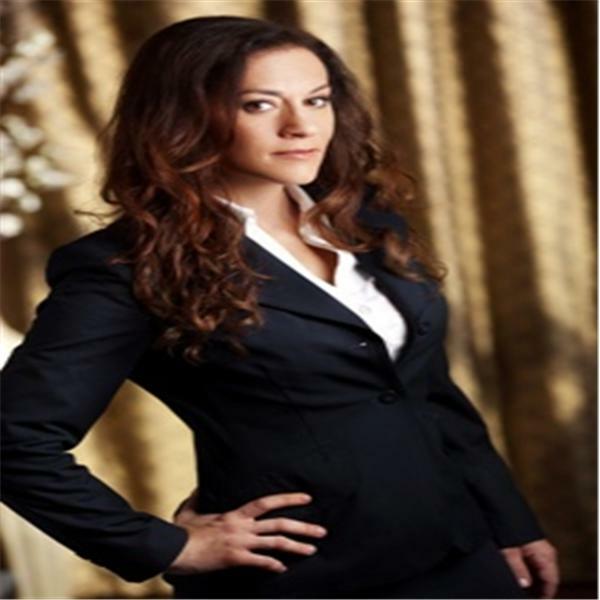 She’s the night desk clerk. She lives in the hotel.” He tired himself even more with his anger. Happy Holidays to all & to all a good night! Every time I look at my calendar I am amazed how quickly this year has gone. So much has happened this past year and it has all gone by in a blur. I can't believe that next week is Chanukah! (Next Thursday, December 10, check out An explanation of Chanukah http://lindsaysromantics.blogspot.com/) Who has had the time (or the money nowadays) to do any holiday shopping? 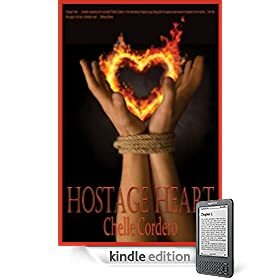 This year I have seen the publications of Courage of the Heart, Hostage Heart, Final Sin and A Chaunce of Riches all from Vanilla Heart Publishing. VHP and I helped raise funds for the Stony Point Ambulance Corps Youth Squad with sales from Final Sin; and we also raised funds for the National Domestic Violence Hotline with sales from Bartlett's Rule. Along with 15 other Vanilla Heart Publishing Authors, I became a part of Operation E-Book Drop to help support coalition forces oversees who are protecting our world. ...and finally (wait, 2009 isn't over yet! 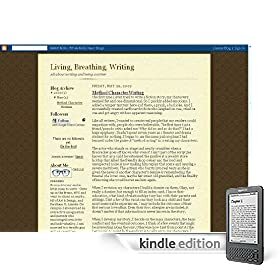 ), a little more than half a year ago I launched my Kindle blog workshop Living, Breathing, Writing where I offer weekly writing lessons and prompts all conveniently delivered to your Kindle or PC. So far LBW has been in the TOP 100 Kindle Blogs for 122 days! and you still have a few days left to send a holiday greeting card to service members recovering at Walter Reed. Cards should be postmarked no later than Dec. 7. Do you ever wonder why I am such a hopeless romantic? 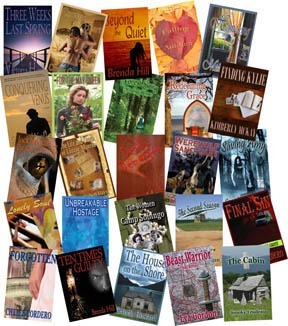 "This is not a novel - it's a real life story"
Great Holiday Gift Ideas - Think books! Are you planning to hit up the stores this Black Friday? Personally I prefer to do a lot of my shopping online and avoid all of the crowds and parking hassles. and while we are on the subject of Amazon, they sell lots more than just books - Check out some terrific books that make super Christmas and Chanukah presents including mine! 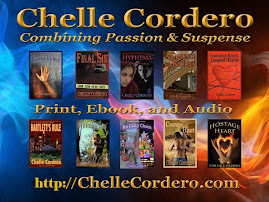 All of my books are available in print and in multiple ebook formats. 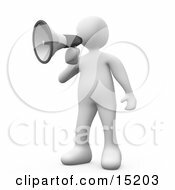 Every week since May 29, 2009 I have posted lessons that discuss and teach about being a writer including hints and tips about the industry. The posts include handy writing exercises and prompts and cover topics about POV, character building, giving your words more impact, setting a visual scene, publishing, finding a target audience, blogging, promotion and more. just go to http://bit.ly/pILcG for details. Kindle Blogs are auto-delivered wirelessly to your Kindle . "...it was not long before I found myself wrapped up in the exchange of emotions and sensual pull between Ben and Sam. When the suspense continued to build to an almost breaking point, it made this good story that much better." 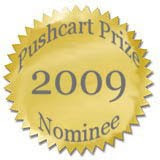 "Vanilla Heart Publishing is pleased to announce our nominations for the 2009 The Pushcart Prize - Best of the Small Presses, published every year since 1976, and widely recognized as the most honored literary project in America. A Winning Title Was Chosen! The chosen title is "Common Bond: Tangled Hearts" submitted by Lindsay Townsend. 6. Who the hell R U? 7. Guess Who's your Daddy? Thank you so much to all of you who submitted! Thank you each: Barbara, Malcolm, Lindsay, Kathleen, Judy, David, Eva, Charmaine, Jackie, Miikell, Eda, Jane & Bill, Bobi, and Michael. My Books will be at the West Hollywood Book Fair! Check it out! My books, along with several other terrific Vanilla Heart Publishing titles, will be on display at the West Hollywood Book Fair on Sunday, October 4, 2009 • 10AM to 6PM • West Hollywood Park • 647 N. San Vicente Blvd • West Hollywood. WEST HOLLYWOOD - The City of West Hollywood and LA Weekly present the multiple, award-winning West Hollywood Book Fair that will take place on Sunday, October 4, 2009 from 10 a.m. to 6 p.m. at West Hollywood Park, 647 North San Vicente Boulevard in West Hollywood. The West Hollywood Book Fair will feature stages with author panels, special guests and live performances, exhibitors and writing workshops. The West Hollywood Book Fair is one of Southern California's most eclectic literary events attracting readers and writers of all ages and interests. The West Hollywood Book Fair will also feature diverse programming for all ages and interests including families; comic book lovers; teens; Seniors; members of the LGBT community; special guests and panels from the entertainment industry; Russian-speaking authors; poetry readings, storytelling and theatre; themed stages, including a Mystery Pavilion; political panels and a variety of other attractions. For aspiring and new writers, the West Hollywood Book Fair offers an array of workshops that include tips from industry professionals on subjects such as preparing for publishing, independent publishing and writing the first novel. Over 180 exhibitors participate in the West Hollywood Book Fair, including independent book sellers; literary non-profit organizations from throughout Southern California; small presses and arts and theatre groups. For more information, contact Roz Helfand at (310) 869-5749 or email her at rhelfand@weho.org. For the hearing impaired please, call (323) 848-6496 or visit www.westhollywoodbookfair.org. I have frequently been asked if any of my books are available in audio books (usually tapes) - at his time they are not available as audio tapes. However all of my novels are available in various eBook formats including .PDF and KINDLE. What, you ask, does an eBook have to do with audio? Also since each of my novels is available for Kindle, I am pleased to announce that EACH book has been Text-to-Speech: Enabled for Second Generation Kindle and Kindle DX devices. Where can you find these formats for your friendly "computer-man" to read to you? VHP is gearing up for Earth Day 2010 and they are looking for prose and poetry that shares nature and nature's gifts with readers of every age. Submissions will be judged by a panel of three judges, both Vanilla Heart Publishing staff members and contracted editors. Authors whose pieces are selected will be notified by February 1, 2010. 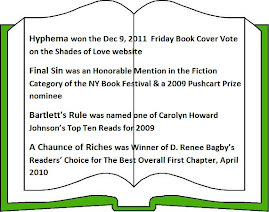 All selected contributors, in addition to receiving the print copy of the published anthology in which they appear, will also be announced on this Website, and on Facebook, MySpace, and Xanga blogs, as well as inclusion in the donation letter to The Nature Conservancy, and be invited to participate in the Vanilla Heart Publishing Earth Day 2010 Celebrations.